“Hancock’s studio effort Lite Me Up, was in many ways a departure from the previous albums. Above all, it is the first Hancock album that was not produced by David Rubinson since their cooperation began in 1969. On this occasion, Hancock assumed this role himself, except for the piano-driven “Paradise,” which was produced by Jay Graydon, and the boogie funk tune “Can’t Hide Your Love,” produced by Narada Michael Walden and featuring Hancock on vocals – without vocoder. Produced by Herbie Hancock except track 4, produced by Jay Graydon, and track 5, produced by Narada Michael Walden. Recorded and mixed (probably) 1981-1982 by George Massenburg at George Massenburg Studios, L.A.
Track 4 basic track recorded by Leslie Ann Jones at El Dorado Studios, Hollywood, CA; vocal track recorded by Jay Graydon at Garden Rake Studios, Studio City, CA; keyboard overdubs and background vocals recorded by George Massenburg at George Massenburg Studios, L.A.
Moog Source – A monophonic analog synthesizer that was the first synthesizer to offer patch memory storage. 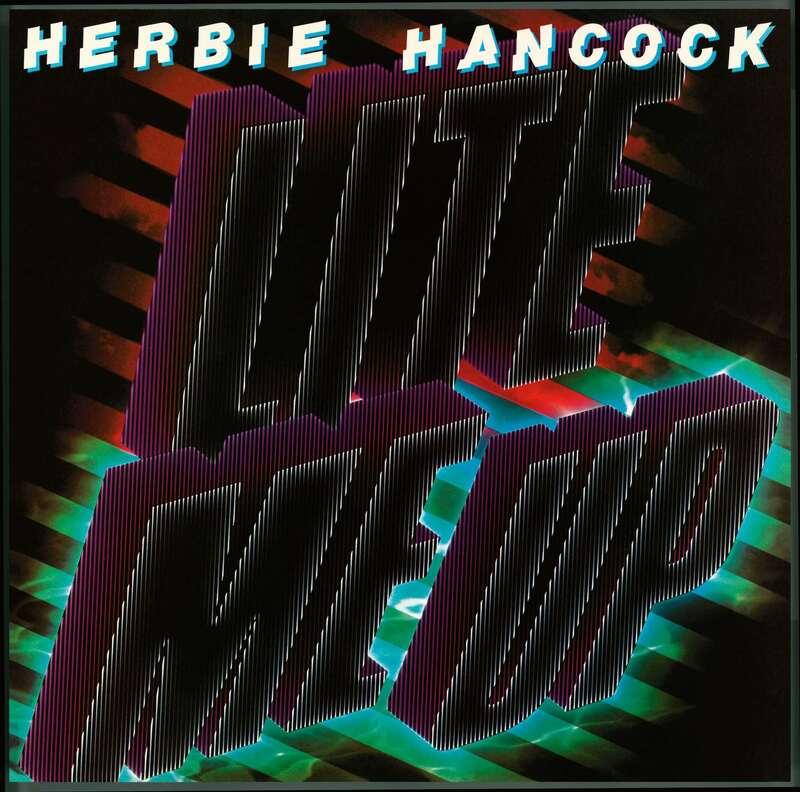 Herbie played this instrument on his 1982 album Lite Me Up. Roland Jupiter 8 – Roland’s first professional analog polyphonic synthesizer made in the early 1980s. It featured eight-voice polyphony and easy programming. Herbie played this instrument on Lite Me Up. Synclavier Digital – First made in 1979, this digital polyphonic sampling synthesizer was known as the top of the line and could cost as much as $200,000. It featured a full-size weighted keyboard with sixty-four note polyphony. Herbie first used this instrument on Lite Me Up.